Amateur filmmakers, doomsday preppers, and ancaps take heed: Don't be caught skulking around abandoned buildings with a car full of weapons. 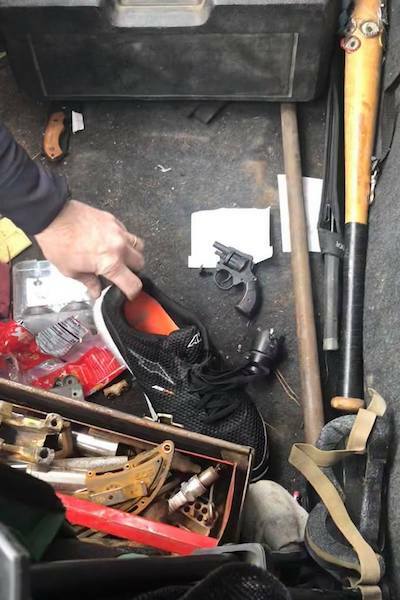 An unnamed individual was detained by police and their vehicle was searched after being spotted prowling an abandoned property with weaponry. 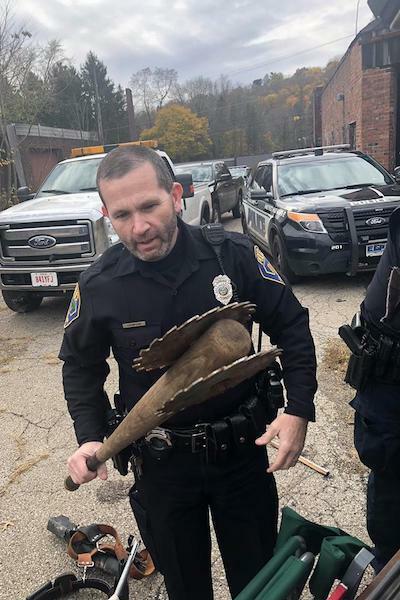 According to a social media post by law enforcement of East Liverpool, Ohio, the department responded to a call from a concerned citizen who spotted a suspicious individual poking around an abandoned property owned by a local florist. 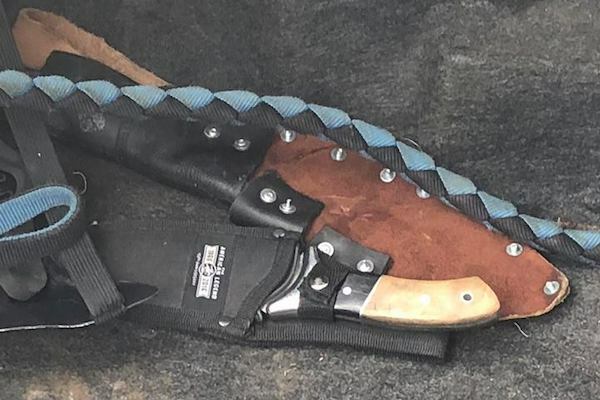 Officers that arrived on the scene found a Ford Crown Victoria with a faded police livery and an individual with "a very large knife," whom they took into custody before commencing a search of the vehicle. 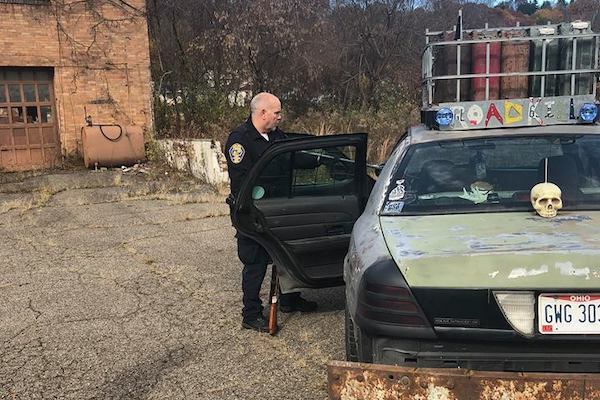 Officers photographed the search of the suspect's Crown Vic, which looks outfitted for a supporting role in the next Mad Max film. 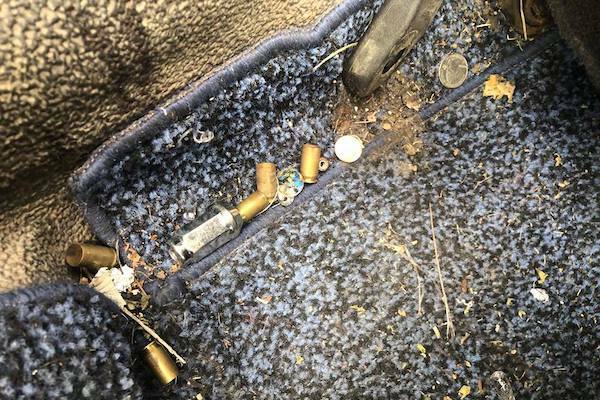 Inside the vehicle, officers found a loaded handgun, magazines, a box of ammunition, and empty shell casings. 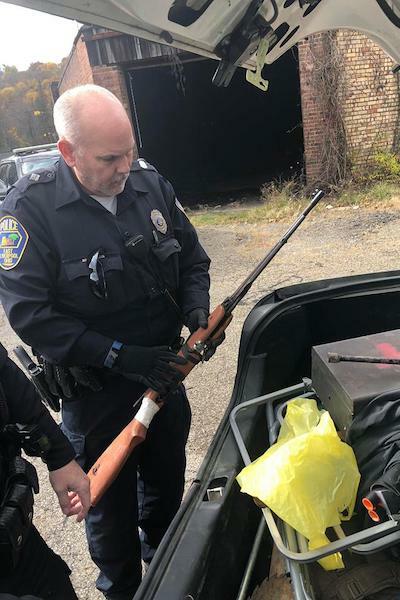 Additional ranged weapons discovered in the vehicle included a crossbow and an air rifle. 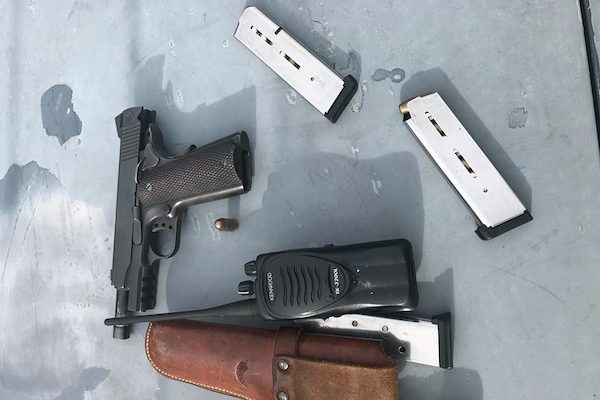 A starter pistol was also discovered in the footwell next to ski goggles and a pair of shoes. 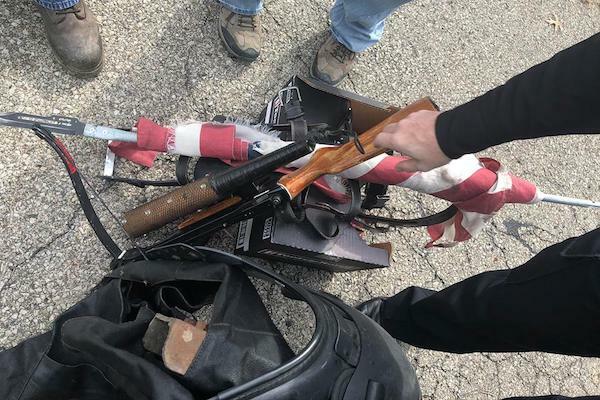 Multiple modified baseball bats were found in the vehicle, one with two circular saw blades bound around the barrel, the other encrusted in bottle caps. A plethora of knives, a flag that appears to have been fashioned into a spear, and a club were also present. Small details suggest this vehicle and its contents could belong to an aspiring independent filmmaker, rather than a domestic terrorist. Crime scene tape labeled "ZOMBIE," rubber rats, and a repainted Nerf gun more closely resemble low-budget film props than the property of a doomsday prepper. Presence of a handicap placard and a vape pen only serve to further imply that this is simply a vehicle customized by someone who has played too much Fallout. The ELPD has yet to publish a report of the incident to its website, and told The Drive that its official account "may take a few days." 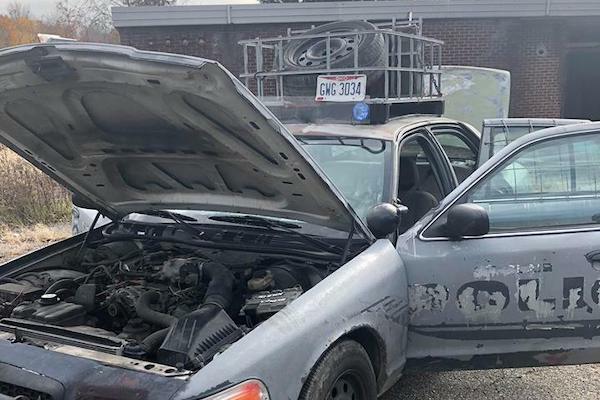 The Drive will keep an eye out for department releases to determine whether the owner of this car was dismissed with a warning or spent a night in jail. Either will serve as a lesson on attracting the general public's suspicion. Pour one out for ol' P71. 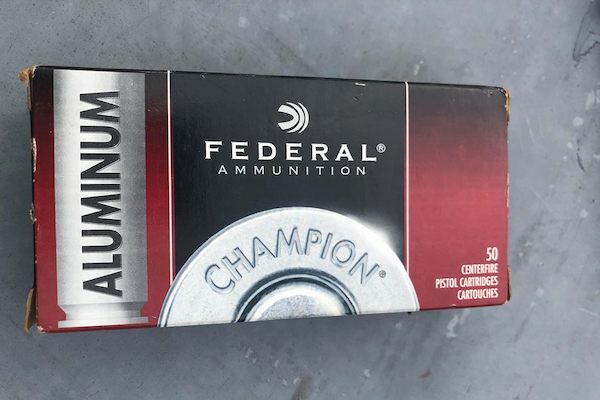 Like shooting fish in a gilded barrel. After allegedly stealing $10 and some cigarettes, the would-be flying dog woman was hauled off to the county jail. If you ever wanted to know if an uglier Edsel could exist, here it is.